The disturbing imagery or violent storylines of videos games like World of Warcraft or Grand Theft Auto are often accused of fostering feelings of aggression in players. But a new study shows hostile behavior is linked to gamers' experiences of failure and frustration during play�not to a game's violent content. The study is the first to look at the player's psychological experience with video games instead of focusing solely on its content. Researchers found that failure to master a game and its controls led to frustration and aggression, regardless of whether the game was violent or not. The findings of the study were published online in the March edition of the Journal of Personality and Social Psychology. 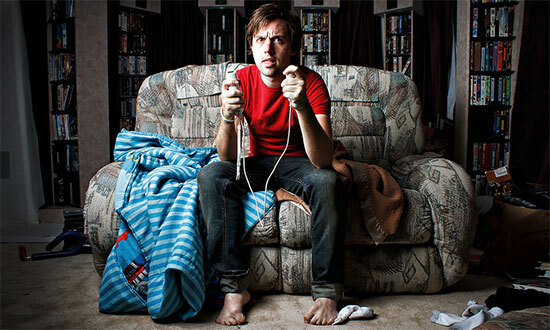 "Any player who has thrown down a remote control after losing an electronic game can relate to the intense feelings or anger failure can cause," explains lead author Andrew Przybylski, a researcher at the Oxford Internet Institute at Oxford University, who said such frustration is commonly known among gamers as "rage-quitting." That experience is not unique to gaming, says coauthor Richard Ryan, a motivational psychologist at the University of Rochester. For example, in sports, players may lose a game as a result of a bad call. "When people feel they have no control over the outcome of a game, that leads to aggression," he explains. "We saw that in our experiments. If you press someone's competencies, they'll become more aggressive, and our effects held up whether the games were violent or not." Across the experiments, researchers found it was not the narrative or imagery, but the lack of mastery of the game's controls and the degree of difficulty players had completing the game that led to frustration. The study demonstrated that aggression is a negative side effect of the frustration felt while playing the video game. "When the experience involves threats to our ego, it can cause us to be hostile and mean to others," Ryan explains. The researchers say that the findings offer an important contribution to the debate about the effects of violent video games. Ryan says that many critics of video games have been premature in their conclusions that violent video games cause aggression. "It's a complicated area, and people have simplistic views," he explains, noting that nonviolent games like Tetris or Candy Crush can leave players as, if not more, aggressive than games with violence, if they're poorly designed or too difficult.